If you thought Feng Shui was complicated, think again! 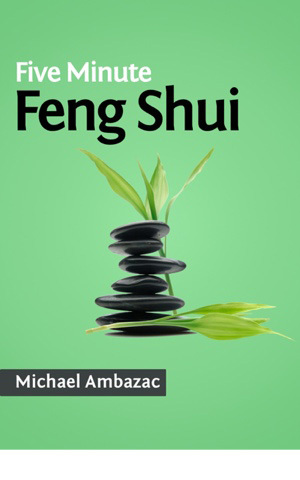 Five Minute Feng Shui cuts through the mysticism and the long winded history and gets quickly to the point. ● Feel happier and healthier, 24/7. ● Sleep like a baby every night, wake up refreshed and fizzing with energy every morning. ● Have limitless reserves of energy, do more with your life. ● Become a creative genius, constantly overflowing with ideas. ● Do better in work and business, make more money. Donald Trump, Donna Karen, Richard Branson, Jim Carey, and HSBC bank are all fans of feng shui, and with good reason. In fact, wherever you find success in the world, you are sure to find feng shui in use. ● Quick and simple techniques you can use to improve your health, relationships, love life, and financial prosperity. ● Exactly what ‘Chi’ is, and where you can find more of it. ● What happens at midday and at daybreak, and what you need to do about it. ● How to calculate your Pa Tzu number, and use it to maximum effect. ● A simple way to avoid the accumulation of Sha, and to encourage the retention of Chi. ● The most common mistake people make when practising Feng Shui, and how to avoid it completely. ● The 10 household items you already have, which will get you practicing good feng shui straight away. In the section Feng Shui Room By Room, you will discover simple yet effective measures you can take in each room of your home to improve energy flow, and encourage health, wealth, and happiness.